Pick up 50 WAGER FREE SPINS when you sign up and make a deposit at new mobile casino PlayOJO! This is one casino that really pays, even when you’re losing! PlayOJO feature some of the very best gaming software with top titles from Microgaming, NetEnt, Amaya, NextGen Gaming and more! Visit PlayOJO now to claim! We love the bright purple design which is packed with original features that help this casino stand out from the crowd. They’ve taken a totally different look at online gambling and managed to deliver an awesome gambling experience for their players. They are secure and regulated with all the necessary gambling licenses in place including UKGC approval. They also offer player support seven days a week, so if you should run into any issues, help is never far away. Live chat, email and telephone assistance available. If you like the look of PlayOJO Mobile Casino, it takes just a few minutes to get registered then you are ready to deposit and claim your rewards! Make fast and secure deposits using any of the following methods: Visa, MasterCard, Maestro, Neteller, Skrill, Paysafe Card and PayPal. Play and get real rewards! That’s right; you heard it here first folks. PlayOJO Mobile Casino is offering something that no other mobile casino does…real cash rewards with every single bet you make! Mobile players can collect cash each and every time they place a wager. The money will be credited to your OJOplus account as you play. The more you play, the more you’ll earn. You can monitor your progress by visiting your account page where you can also collect your funds and add them to your real money balance. Withdraw your funds as if they were cash, no wagering required! By all accounts, PlayOJO has a pretty impressive choice of mobile games. With a big emphasis on slots, casino players will be able to enjoy quality gaming with HD graphics and crystal clear sound effects on any device. The games are courtesy of some of the best developers in the industry including NetEnt, Microgaming, NextGen Gaming, Amaya, Barcrest, SkillOnNet and WMS. Some of the best slot titles (in our opinion) include Rainbow Riches, Zeus III, Medusa, Gonzo’s Quest, Jack and the Beanstalk, Thunderstruck II, Steam Tower and Bruce Lee. Jackpot games include Mega Moolah, Mega Fortune, Millionaire Genie and Major Millions. Head to the Roulette Play, Blackjack or Card Play sections for a selection of classic casino games and a few twists on some popular casino staples. Now you’ve heard everything you need to hear and seen everything you need to see, why not get started? *The PlayOJO bonus spins offer is available to new players only. One per household. Winnings are capped at £100. No wagering requirements. 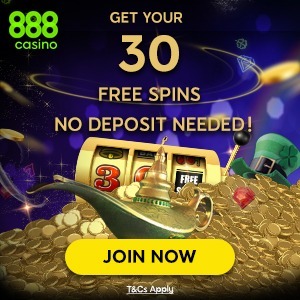 1 Free Spin credited for every £1 deposit. Up to 50 Free Spins valued at £0.10 each on Book of Dead. Min. deposit £10. First time depositors only. OJO’s Rewards and Game Play policy applies. Gambling should always be enjoyed responsibly and seen as a form of entertainment rather than as a way of making money fast. If you have any concerns about your gambling habits or are spending too much time or money at online casinos you should seek help. Contact Gamble Aware, GamCare or Gamblers Anonymous for confidential support and advice. Before you play always set account controls in place including deposit limits to avoid spending more than you can afford. PlayOJO Casino is licensed and regulated by the UK Gambling Commission and the Malta Lotteries and Gaming Authority. Games are routinely audited for fairness and certified by iTechLabs. PlayOJO is a rare breed indeed. Grab this opportunity to receive real, wager free rewards and spins TODAY! PlayOJO Mobile Casino not only looks fantastic but they have an incredible array of games and brilliant bonuses without all the sneaky terms and conditions! Well worth a try! Northern Lights Casino: 10 Free Spins on Starburst when you sign up!